You would’ve heard of people who make millions from their blog, and have probably wondered who these people are. Well, allow me to introduce you to one such person: Nirmal T.V. 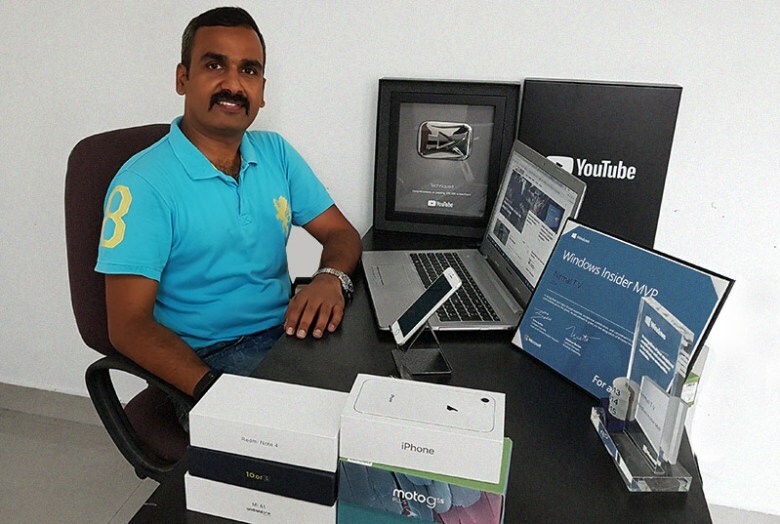 Nirmal, an ex-Infoscion, is now a professional blogger who earns his living from his technology blog ‘Techniqued’. His passion for technology was obvious during his Infosys days, and as a Microsoft Most Valuable Player, he used to be the go-to person for his team mates to solve any technology challenge. This brief conversation with him highlights how he created his dream life by making use of his passion for technology. I thoroughly enjoyed having this conversation with him, and I hope you will find it useful and enjoyable. Q: Tell me all about the ‘when, how and why’ of your entry into the world of blogging? NTV: I started my blogging career in 2006 when a few of my friends started their “blog” on Blogspot.com. I was curious to know what a blog was and ended up setting up my own blog. Initially I used to write about my life and work in Infosys. By 2007, I had a good number of friends from India who were into blogging, and most of them were technology related blogs. This is when I thought I should utilize my interest in technology in the form of a blog. I registered my domain ‘nirmaltv.com’ in March 2007 and moved my blog to this location. In the first couple of months into the new domain, I used to write Windows based tutorials and articles on how to start blogging. From then on, I focused completely on technology, and the traffic started increasing. Q: At what point did you realize that you could start monetizing your blog? NTV: When I first heard about Google Adsense, I remember being skeptical about it since I thought it would hamper the look and feel of my site if I were to display advertisements. But my wife, Sowmia, insisted that we go ahead and monetize it, and that was the best decision I took in my blogging career. They don’t say–“Behind every successful man, there is a woman”–for nothing ?. Q: I am assuming you quit your job when you realized that you were making a decent income from your blog. Is the income a steady, monthly kind or a lumpy one–give us an idea about the kind of income you are making from your blog? NTV: When the blog started gaining traffic, the income also started increasing. By 2009, I was getting a steady income from the blog. I waited for a year before finally deciding that it was time to focus on blogging as a career. When I quit Infosys in 2010, I was making almost 5 times (approximately) the salary I was earning with Infosys, and thereafter it kept increasing steadily. What I earn is a monthly income–where Google sends out the payment via cheque (now online transfer). Q: Please give us some tips on how to monetize a blog? NTV: Monetizing a blog using Adsense or any other ad serving services is basically simple task. All you need to do is integrate the code provided them into your blog. Once done, advertisements are displayed automatically by them. Of course, there is an application process to get your site approved by Adsense–the approval process takes some time and depends on the quality and content of your blog. Currently my blog uses Google Adsense as the primary source for displaying ads (and thereby, income) followed by a few others as well. Once you start gaining traffic, you will also start getting direct advertising options for your blog, which is quite like how newspaper ads work. You can command your price based on the popularity of your blog. Q: When you are a professional blogger, the big test is about how one maintains her/his credibility as an independent reviewer and not be perceived as a ‘paid’ writer. How do you manage this? Can someone ‘buy you’ to write favorably about a product? NTV: I started to review products as early as 2010 and moved on to smartphone reviews in 2012. If you write genuine, unbiased reviews, your credibility is automatically maintained. Brands are now looking to get more coverage with paid or sponsored content. There is no harm in trying out a sponsored content, but the final verdict (or review) about a product should be your own and that must not be ‘sold out’ at any cost. Q: When you had a full-time job, how much time were you able to dedicate to blogging? How much time do you spend now? NTV: When I had a full-time job, I used to blog during after-office hours. I used to sit late into the night and work on gaining more knowledge on new products. At that point I used to dedicate around 3–4 hours daily for the blog. Since 2010, I have been into full time blogging and I spend around 8 hours (on an average) for blogging, but it may not be continuous 8 hours working from an office. Q: How has the blogging world changed–are videos more in vogue (than written material) now? What is the future of blogging? NTV: Blogging has changed drastically in the past few years. More and more people are now coming to blogging and competition is tough now. You must continuously work on finding new content for your readers. In this process, I thought I should also have a YouTube channel for videos. It is tough to predict the future of blogging, but if fresh and new content is available, you will always have traffic coming in. Q: If someone wants to start a blog now with the intention of making an income out of it, how should one go about doing it? NTV: Blogging must happen out of passion–unless you have passion for the topic you are writing about, you will not be able to make an income out of it. Blogging as a career is like any other job. The person should be interested in the niche before starting a blog and should not start a blog just to make money. Whether to start a text blog or video blog depends on which format you are more comfortable with. Both areas will take a lot of time to give results and you should have the patience to wait for results. Q: You are almost living the ‘4-hour workweek’ dream, isn’t it–tell us a bit about your lifestyle as a blogger. NTV: Well, the biggest advantage of being a blogger is that you are your own boss. Work timings are flexible, and you can take a break from work whenever you feel like. But having said that, my lifestyle now as a blogger is more organized, thanks to my little one. It may not sound like a big deal–but being able to drop and pick my little one from school every day and seeing the smile on her face makes my day. I don’t think I would’ve been able to do this if I were in any other profession. NTV: Things have changed for me over the years. From a civil engineer to software engineer to finally a blogger, I was lucky enough to choose my passion as my career. Right now, Techniqued (www.nirmaltv.com) is one of the most popular tech blogs in India. It also has a YouTube channel (www.youtube.com/techniqued ). I’m planning to diversify into different areas including travel and regional tech content (in Malayalam). I have already started working on my Malayalam tech channel (www.youtube.com/TechniquedMalayalam ). 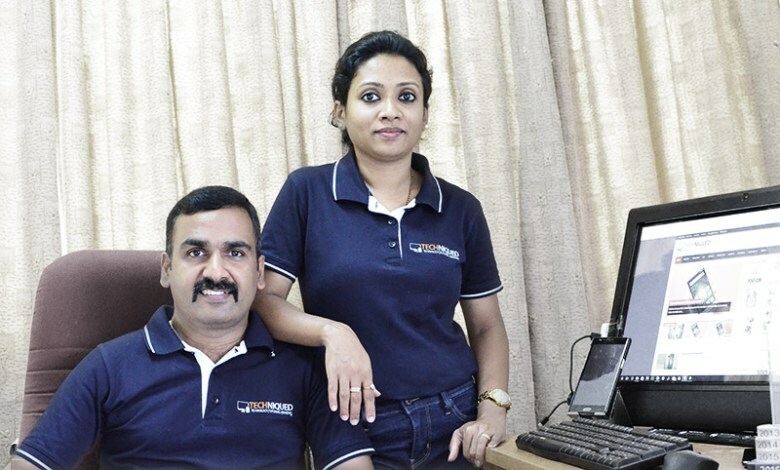 My wife Sowmia (also an ex-Infoscion) joined Techniqued four years back, and we both are hoping to fulfill our new projects and plans.